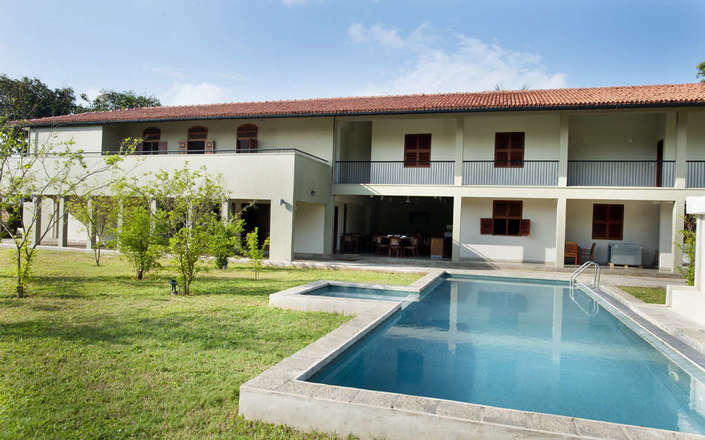 Tucked away from the thriving centre of Jaffna, near Nallur Kandasamy temple, Jaffna Heritage is a simple property set amongst an acre of landscaped gardens, and is an excellent base from which to explore Jaffna town and the low-lying islands off the Jaffna peninsula. 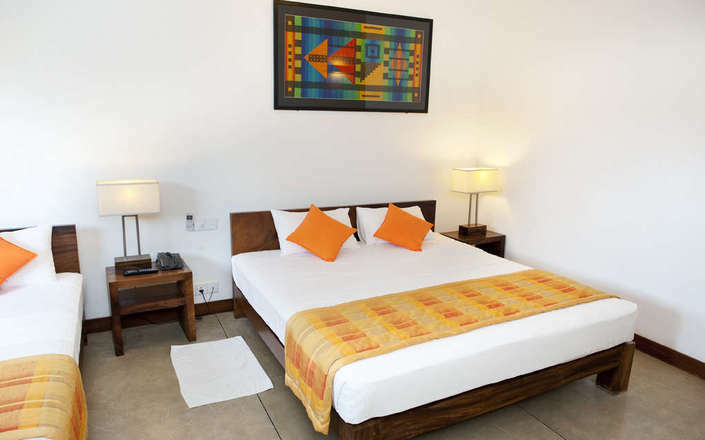 This modern hotel has 10 comfortably furnished rooms equipped with modern conveniences. 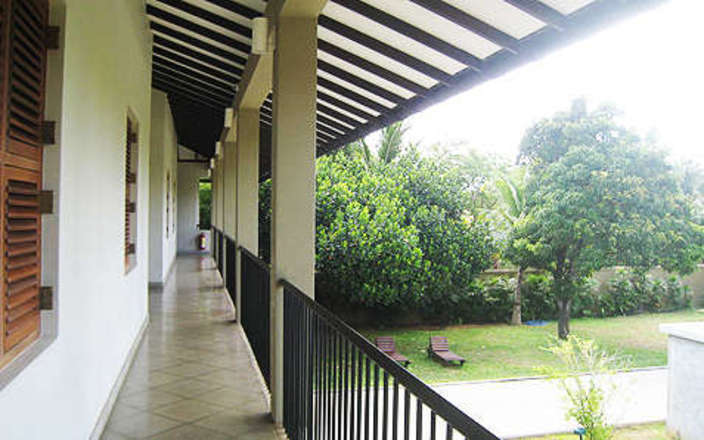 Rooms are spread across two floors and are tastefully decorated using handloom fabrics, sketches and old photographs that reveal Jaffna’s cultural heritage. 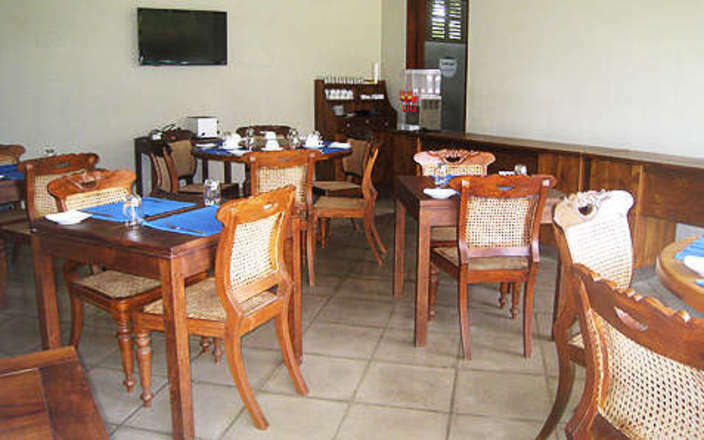 Jaffna Heritage’s restaurant serves delicious traditional regional cuisine (vegetarian dishes only) as well as a limited selection of western dishes. 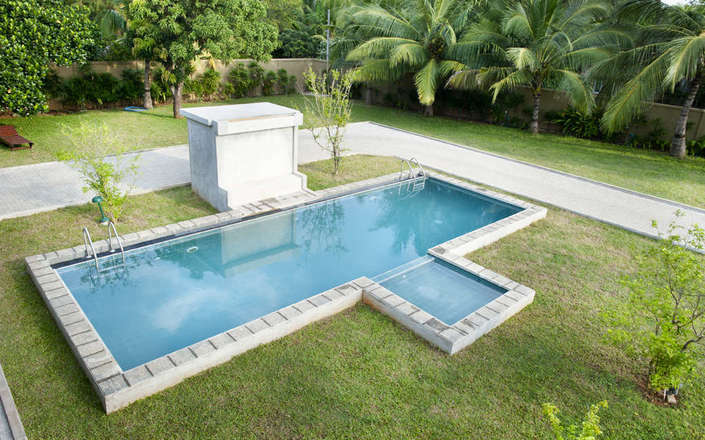 Facilities at the hotel include an outdoor swimming pool and a small lounge next to the dining area. 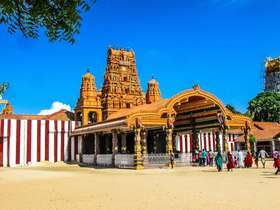 Due to Jaffna Heritage’s proximity to the city’s iconic Nallur Kandasamy temple the hotel is unable to serve alcoholic drinks. 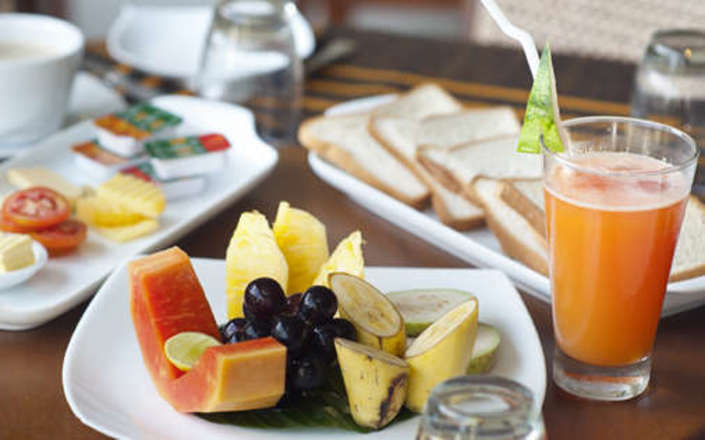 It must be noted that hotel is staffed by locals from Jaffna. 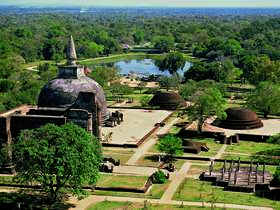 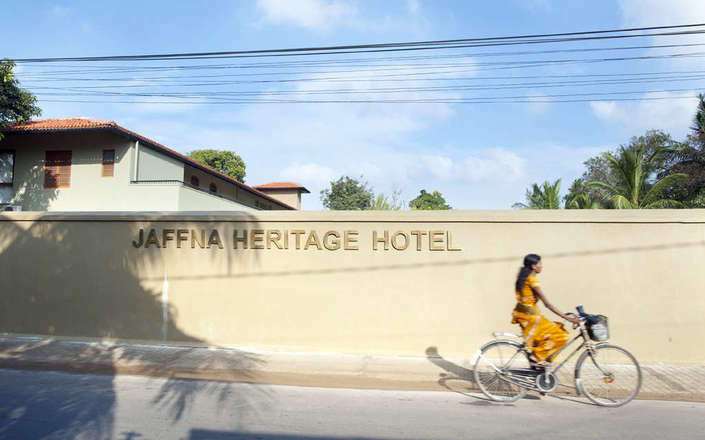 While all the staff are friendly, courteous and eager to meet guests’ requirements, it is important to be aware that Jaffna is an emerging tourist destination and service levels at Jaffna Heritage are not the same as elsewhere in Sri Lanka.